Accounting and fiscal year calendars. 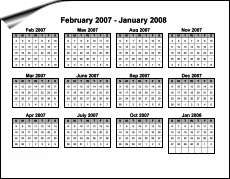 Always know the day of the year with this monthly calendar. 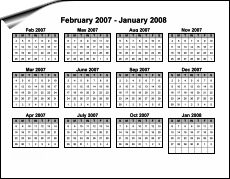 Always know the week of the year with this monthly calendar. 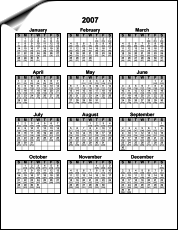 Always know the day of the year with this full yearly calendar. 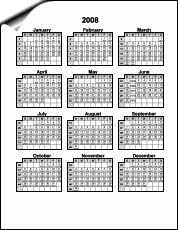 Always know the week of the year with this full yearly calendar. 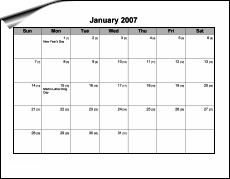 A yearly accounting calendar organized in a retail 4-5-4 accounting format. A yearly accounting calendar organized in a retail 4-4-5 accounting format. 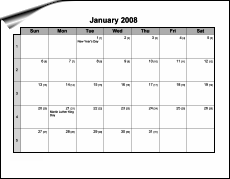 A yearly accounting calendar organized in a retail 5-4-4 accounting format.